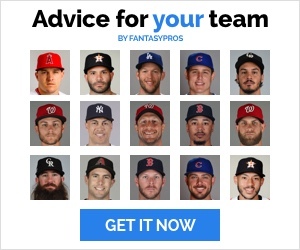 Fantasy baseball’s deepest position can provide your team with much needed depth, yet, can drive you crazy on draft day. The vast volume of names with high ceiling potential can make each choice that much more difficult. Should I go with a steady floor like that of Charlie Blackmon, or perhaps a player with a tremendous ceiling like Aaron Judge? It’s the toughest question to answer come draft day. The sheer volume of players at this position doesn’t make it any easier. The good news is there is enough talent here that it’s worth grabbing five or six outfielders and mixing them in and out throughout the season as they get hot. While we all anxiously await the imminent free agency decision of Bryce Harper, here’s a preview of what to expect this season to help you make those tough decisions in your drafts! 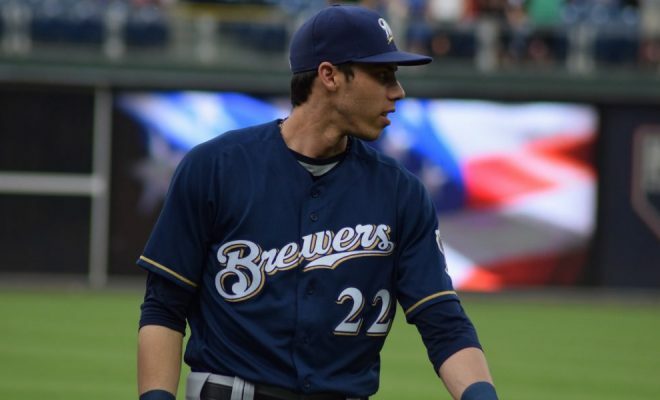 Can Christian Yelich repeat his 2018 MVP campaign? It’s very easy to be hesitant to use a first/second round selection on a player that had a career season the year before. We’ve seen plenty of players break out for one unbelievable year, only to regress back to the mean in the years after (a la Marcell Ozuna, Josh Donaldson, Rougned Odor). On the other hand, it’s always easy to find guys that break out in their mid-20s and become the superstars of Major League Baseball. I believe Yelich is more poised to fit in the latter category. The obvious numbers jumped out at us in 2018: .326/.402/.598 with 36 home runs and 110 RBI. But the underlying numbers are not that much different as in years previous. His .373 BABIP a year ago is right in line with his career mark of .359. The 24.7%-line drive percentage didn’t jump too far from his 22.3% career number. He has always been a high-contact, low-strikeout hitter but what changed in 2018 was his pitch recognition. What the numbers don’t show is the fact that Yelich became a smarter hitter by going into each at-bat with a plan and executing. He hit the pitches he wanted to hit and did damage with them that we have yet to see in his young career. There’s no reason to doubt that he can’t maintain this production for years to come seeing as he’s entering the prime ages of his career. Has the best of Yasiel Puig yet to come? I, for one, absolutely loved the trade to send Puig to Cincinnati. A change of scenery was necessary; and to be frank, moving from a major media market like Los Angeles to a smaller market should be an excellent move for him. It will allow him to relax and focus on playing baseball. There was an unbelievable amount of hype surrounding Puig when he entered the big leagues and he’s certainly had flashes; but nothing to the extent in which we were expecting. I think that’s about to change. I believe Puig will finish 2019 as a top-15 OF in all formats. He’ll get the guidance of a veteran MVP presence in Joey Votto and he’ll flourish in that setting. Until he can master the idea of plate discipline, the average won’t be flashy, in the .265-.280 range, but I believe he will be an annual 30 HR/90 RBI player for the foreseeable future. It’s easy to forget that he’s only 28 years old, and he is coming off a season in which he set a career high in hard-hit ball percentage at 38.4 percent. In addition, his fly balls have become more productive (20% HR/FB: highest since 2013) and he is back to using the entire field. In recent years, he became too pull-oriented affecting his overall performance. Players that can utilize the entire field have a higher success rate in today’s baseball and he has shown the ability to do that. Is it crazy to load up on Infielders and stockpile Outfielders later? No, it isn’t. The general thinking is to load up on outfielders because you must start three of them every day. This is tired thinking. The caveat to this is if you’re in a league that requires individual outfield spots (LF, CF, RF), this is a different question. But I’m only talking about leagues that have three general OF spots. The position is so deep, it pays to load up on difference-making infielders and go the depth route for the outfield. There are a few players that I will highlight later that have eligibility all over the field that I’d target, but we’ll get to them later. If you happen to have the 1st overall selection, yes, I’d take Mike Trout. Not because I need three outfielders, but because he’s the best player in the sport. If you’re like the rest of us and generally pick in the middle of each round, I’d prefer to shore up the middle of the infield with someone like Francisco Lindor and target someone like Marcell Ozuna in round four, or Lorenzo Cain in round six to be your premiere outfielder. Beyond that, there are plenty of options to provide depth later in the draft that you don’t have with the infield positions. The obvious choice. Last year’s top-ranked prospect that, if not for the relatively surprising breakout from Juan Soto, would have been the runaway National League Rookie of the Year. The five-tool outfielder that has the most all-around toolset we’ve seen since Mike Trout is poised to explode in 2019. Due to rules that dictate control of pre-arbitration players, Acuna was held in AAA for the first few weeks of 2018 before he burst onto the scene in May. This year, he will be the Braves’ Opening Day lead-off hitter in a lineup that has only gotten better. No matter what projection site you use, you’re looking at 30+ home runs, 85+ RBI, 100+ runs and 25+ stolen bases. That’s pretty good, right? 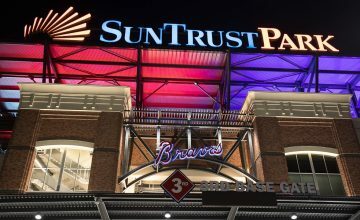 Not to mention, according to BaseballSavant.com, in 2018, 46.6% of Acuna’s batted balls were hard-hit balls (95 MPH+) ranking him 26th in Major League Baseball. In conclusion, he hits line drives for power and average, and steals bases; I can see why he has a first-round ADP. Hoskins was a major cog in making the Phillies relevant in 2018. In his second season in the big leagues, he put up offensive numbers that were in line with anyone else in the game. With Philadelphia in win-now mode, the opportunity for run production will only increase making Hoskins very valuable across fantasy formats. The only negative to his 2018 campaign was the low average. He hit just .246 but managed 72 extra-base hits and 96 RBI. The upward tick beside this stat is the imminent arrival of one of baseball’s two most sought-after free agents. If Bryce Harper or Manny Machado sign with Philadelphia in the coming weeks, Hoskins’ value increases. He would likely slot in either just ahead or behind the newest slugger resulting in better pitches to hit. There’s no denying there’s a psychological difference when playing for competing teams as well. The Phillies seemingly have arrived and will be in a true divisional/pennant race for the first time in years. It’ll be interesting to see how the young stars of this team handle the pressure of success. At 26 years old on Opening Day, Hoskins will be entering the prime years of his career and I expect his arrow to continue pointing upward. While not the flashiest of names, there was a 5/6 year stretch where you could pencil Jones in for 28-32 home runs and 85-100 RBI every season, while also giving you double-digit stolen bases. Last year, the average remained in the .280-.285 range we’ve come to expect over the years, but the power numbers took a major hit. I can see the argument that says this is due to one of the worst team seasons in recent memory, but I think it’s more a sign of what’s to come. Jones will be 33 for most of this season, his 14th season. It’s not outlandish to think that the best of Adam Jones is in the rearview. The most startling stat to me is Jones’ ISO (isolated power). This statistic provides you with a standard number for power based on an algorithm that is increasingly weighted for each extra-base hit (2Bs more valuable than 1Bs, 3Bs more valuable than 2Bs, etc.). Jones’ ISO for 2018 was .138 which was the lowest in his career since his rookie 2006 season in Seattle. This is a result of a decrease in hard-hit balls. Just 33.0% of his batted balls in 2018 had an exit velocity of 95 MPH+, 224th in baseball. Cespedes had a run of three to four years where he was one of the more productive power hitters in the game. Due to multiple injuries, this is no longer the case. Even if he comes back seemingly “healthy”, foot/leg injuries are tough to fully recover from; ask Albert Pujols. Cespedes’ 2018 campaign was cut short following two heel surgeries that he is still recovering from. This is following a 2017 season where he played in just 81 games. As previously mentioned, even if he does come back healthy, we won’t see the power return. Leading up to the injury last season, we saw a spike in Cespedes’ strikeout rate, jumping to 31.8%, far above his career mark of 21.0%; this could be a preview of what’s to come as he attempts to mitigate the effect of the heel injuries. The lower half of your body is essential in creating power in your swing that it’s hard to imagine a scenario where he does return to the player he once was. Where do I start? I am drafting Jimenez in every league I can this season. It’s only a matter of time before he gets his call, and I believe it’ll be another Juan Soto-type rookie season. He’s a career .311 hitter in the minors with the power finally catching up after hitting 41 home runs in 197 games across the past two seasons. The most impressive stat to me is his continuously improving strikeout percentage. In 456 plate appearances in 2018, he struck out just 15.1% of the time, easily the lowest of his minor league career. He’s getting better with each season under his belt and that will continue into the big leagues. Every projection site you look at has him playing 130+ games, meaning you won’t have to wait very long for the call. But once he gets his shot, he will be a legitimate contender for AL Rookie of the Year in a battle with Vladimir Guerrero, Jr. The other mega-prospect in the Nationals organization. If not for a fluky injury in 2017, we probably would have seen Robles making the Major League impact last season instead of Juan Soto. Instead, he spent much of 2018 in the minor leagues getting back into the rhythm of the game. Robles has been one of the best outfield prospects in baseball for a few years and we will finally get a chance to see all the plus tools in actions this season. However, his playing time will depend on the looming decision from free agent Bryce Harper. Should Harper sign elsewhere in the coming weeks, Robles will likely get the bulk of the action in center field this season. I see a clone of Ronald Acuna, Jr. in Robles. A true five-tool player that will contribute across the board. The raw power will be the last thing to develop, but I believe it will as he learns to be more selective with pitches to hit. 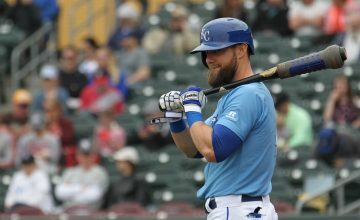 In 21 games with the Nationals in 2018, he had a 24.4% line-drive rate, higher than his career minor league mark of 21.0 percent. 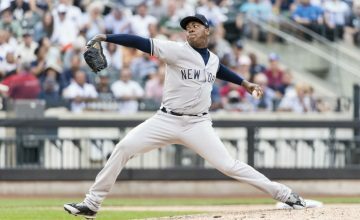 It’s safe to assume that as he gets accustomed to big league pitching, it’ll be easier to create power due to the higher velocity and better control of major league pitchers. He also learned to use the entire field last season with 58.4% of his batted balls going to center or right field; a much better percentage than he had in the minors. If you’re filling out the backend of your roster and need a guy that will provide power and nothing else; Gallo is your guy. The reason I don’t like Gallo this season is simply due to his ADP. He’s currently being drafted right around the 100 mark (104.8) and that’s way too early for me. Especially if you’re in a roto league, he’s going to hurt your overall numbers more than help them. Sure, as I said, he’ll hit for power to the tune of 40+ home runs. He’ll do nothing else. He will kill your team batting average as he’s a career .203 hitter. He doesn’t steal bases, and he’s all or nothing; over the past two seasons, he hit 81 home runs on just 197 total hits. On top of that, he’s struck out 403 times in that span. I’m perfectly open to selecting in the 16-20 round range, but if someone else wants to take him in round 8 and destroy three of the five standard categories each week, let them. As always, you can follow me on Twitter @joebuttgereit for fantasy sports news and nuggets!